ROME, Jun 12 2017 (IPS) - Globally over 1.5 billion people live in countries that are affected by conflict, violence and fragility. Meantime, around 200 million people are affected by disasters every year—a third of them are children. And a significant proportion of the 168 million children engaged in child labour live in areas affected by conflict and disaster. These are the facts. Up to you to reflect on the immediate future of humankind. Conflicts and disasters have a devastating impact on people’s lives, the United Nations reminds. 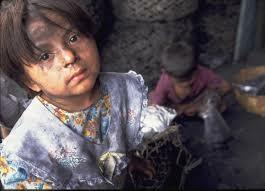 Of this total of 168 million children victims of modern slavery, about 100 million boys and 68 million girls. Forced labour is estimated to generate around 150 billion dollars a year in illegal profits. Amid such a huge human tragedy, children are often the first to suffer as schools are destroyed and basic services are disrupted, the world body reports. This why on the occasion of the 2017 World Day Against Child Labour, marked June 12, the UN focuses on the impact of conflicts and disasters on child labour. Child Labour No More by 2025? Child labour and forced labour in conflicts and humanitarian settings will be discussed at the IV Global Conference on Child Labour (Buenos Aires, 14-16 November 2017). For its part, the UN Children Fund (UNICEF) warns that child labour deprives children of their right to go to school, exposes them to violence, and reinforces intergenerational cycles of poverty. UNICEF also reminds that, worldwide, about 168 million children aged 5 to 17 are engaged in child labour, accounting for almost 11 per cent of all children. The most recent figures, based on statistical evidence from UNICEF, ILO and the World Bank, show a decline of about one third since 2000. While that is positive news, progress is far too slow, the UN specialised agency reports, adding that the continued persistence of child labour poses a threat not only to the health and well being of children, but also to national economies and the achievement of global development goals. 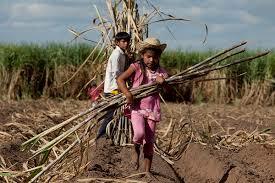 Child labour is defined as work for which the child is too young – i.e., work done below the required minimum age. Other international instruments further define a child’s right to be protected from the “worst forms of child labour,” including recruitment in armed conflict, sexual exploitation and drug trafficking. No one nation has so 170 mln. enslaved children. Children from 5 -16 years must have education reading, writing, calculating , working lessons, learning -at shools. Working age from 14- 16- until 60 years. after can be pension for citizens. Another way just crimes, fooling against children, no matter how named (modern slavery, traficing, human children bussines – stop these crimes and fooling) Make protection laws at each state.